MER-B Opportunity rover. Image credit: NASA JPL-Caltech. Click for higher resolution. 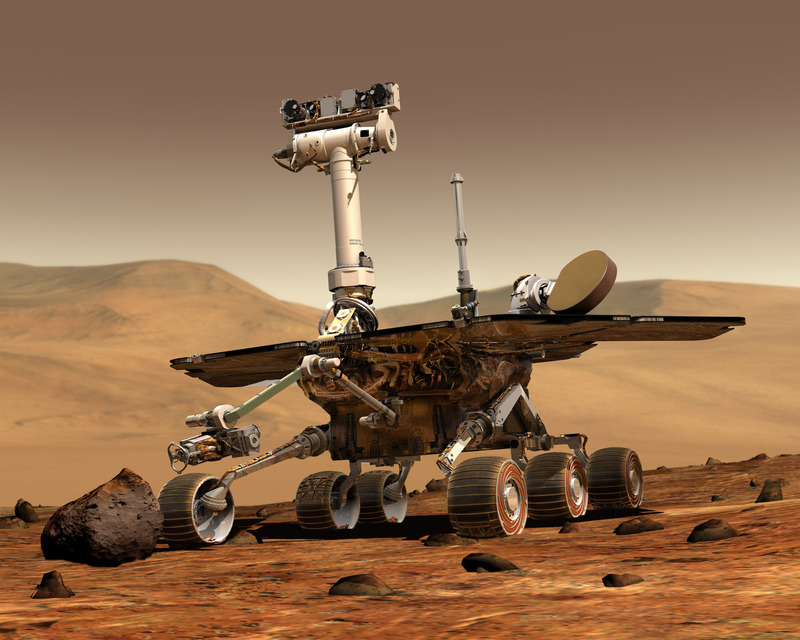 Opportunity, also known as MER-B (Mars Exploration Rover – B) or MER-1, and nicknamed “Oppy”, is a robotic rover that was active on Mars for 15 Earth years (8 Martian years). The mission was extremely successful, because it was initially planned for around 92,5 Earth days. Opportunity was launched on July 7, 2003 (part of NASA’s Mars Exploration Program). She landed in Meridiani Planum on January 25, 2004. Opportunity ceased the communications with mission control on Earth on June 10 and entered hibernation on June 12, 2018. The mission was officially ended by NASA on February 13, 2019. I have prepared for you some interesting photos that were taken by Opportunity during her last days on Mars. Sol 5111. Panoramic camera. Image credit: NASA JPL-Caltech. Sol 5109. Panoramic camera. Image credit: NASA JPL-Caltech. Sol 5019. Panoramic camera. Image credit: NASA JPL-Caltech. Sol 5105. Panoramic camera (left). Image credit: NASA JPL-Caltech. Sol 5104. Color panoramic camera. Image credit: NASA JPL-Caltech. Sol 5104. Microscopic imager. Image credit: NASA JPL-Caltech. Sol 5102. Panoramic camera. Image credit: NASA JPL-Caltech. Image sources: Raw mission images, planetary data server, NASA.